SEAT is kicking off its e-mobility offensive at Geneva Motor Show. In the framework of one of the main meeting points for the #automotive industry, the brand is presenting its vision of electric technology applied to such diverse vehicles as an urban two-Seater or a high-performance CUV (Cross Utility Vehicle), two complementary alternatives for today’s mobility needs. 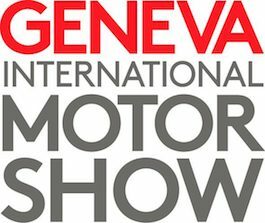 The company is presenting two concept cars for the first time globally in Geneva: the el-Born, its first 100% electric vehicle based on the Volkswagen Group’s MEB platform, and the #cupra Formentor, a high-performance plug-in hybrid CUV with #cupra DNA which is the first vehicle developed specifically for this brand. The #Seat Minimó is also making its first appearance at the motor show; it is a forward-looking city ally that is going to revolutionise urban micromobility. They all underscore the company’s commitment to developing more sustainable mobility.